Birth to 8 weeks of Age. Puppy Socialization, Desensitization and Habituation Program. Environmental and social experiences make lasting impressions on a developing puppy. Important stages in a puppies development begins at birth and peaks at eight weeks. 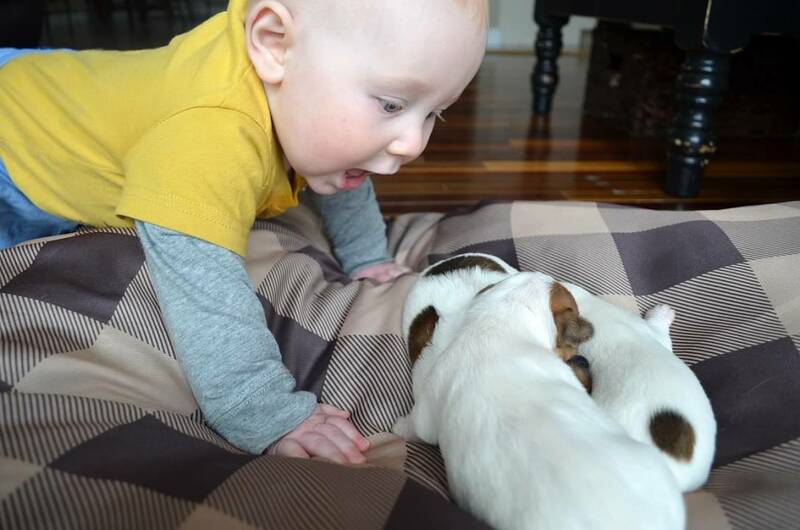 These early experiences will shape your Jack Russell Terrier pup and the life you share with it, for the rest of its life. Select a pup from a breeder that doesn't understand this and your puppy will be playing "catch up" for the rest of its life. Prenatal Care - First, we focus on proper exercise, nutrition and attention, giving the Dam every opportunity to bring forth a healthy and vigorous litter. Stress during gestation can be passed on to puppies - So we are careful to provide a calm, non-stressful prenatal environment. Neurological Stimulation - Exercises begin when puppies are 72 hours old. This consists of several specific exercises designed to stimulate the neurological system. It involves handling the puppies once each day, days 3-16. Tactile Stimulation & Conditioning - We begin slowly acclimating puppies to different surfaces and textures. Through short exercises, puppies are introduced to various stimuli, to condition, but not over-stress them. Olfactory Stimulation - Not all senses are functioning in a puppy when born, but the olfactory sense is. Different scent are used each day. After cleaning their bedding area, we spray with a diluted scent using extracts like; birch, clove, sage, mint, lemon, anise etc. Visual Stimulation - A puppy is born with eyes closed and is isolated from visual stimuli. When eyes open, we utilize exercises to stimulate and enhance vision. These exercises begin around day sixteen and continue in a laid back fashion to ensure an optimal, stress free experience. Imprinting, Human Attachments & Bonding - We begin imprinting, attachment and bonding exercises from the moment the puppies are born. This helps our puppies have a low fear/anxiety association with humans during a critical window of opportunity and produces puppies that prefer human interaction. We strive for balance, not a too dependent or independent pup. Handling & Touch Conditioning/Desensitization - Gentle and early handling has been proven to improve a pups ability to thrive. We insist our puppies be comfortable and relaxed when being touched in various ways. 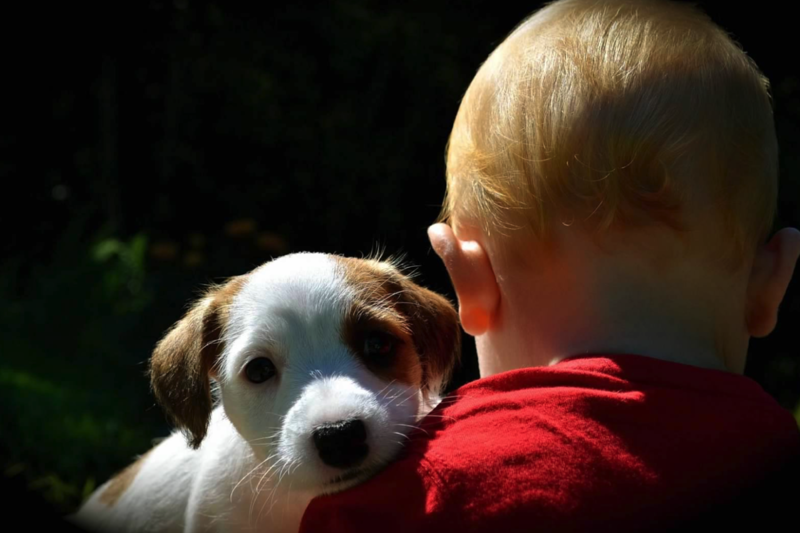 Desensitization also prepares puppy for examinations, potential rough handling by children, or other environmental stimuli they may encounter and must tolerate. Environment Enrichment - Research has shown that animals raised in an enriched environment are more inquisitive, more adept at performing difficult tasks, and are more intelligent because they have experienced a great deal when young. It not only produces a better brain, but there are fewer behavior problems in a busy breed. Based on this research, we provide an enriched environment for our puppies to ensure they have the best chance of developing a sound temperament and the capacity to cope with life situations in the future. The puppies get to exercise their curiosity while having fun exploring novelties they encounter. By day 21, Environment enrichment is in full swing - squeaky toys, fuzzy toys, things to climb on and balls to play with. By day 28; More Mental and physical challenges - more things to climb in, on, under and the addition of interactive toys. Interactive feeders and treat toys - Introduced by week five and used daily to help puppies problem solve. Socialization - By week four, we expose our puppies to other people, small children, places and things. Our puppies are expected to coexist nicely with people, in various settings and with other animals. Socialization is a step-by-step process to ensure the puppy is having positive interaction, is safe, and forming positive associations. From week six, we also introduce friendly, mature adult dogs for puppies to interact with, so they can learn appropriate "doggie manners" from others in addition to their mum. Sound Conditioning & Desensitization - If a puppy is not exposed to sudden noises followed by a low level startle response, and a quick return to normal, he will most likely over react to noises followed by prolonged fearfulness when he enters the fear stage. We use a few different sound desensitization cd’s in this process, beginning in a gradual fashion, slowly introducing various sounds at increasing levels. This is done during a period when a pup’s central nervous system is developing. 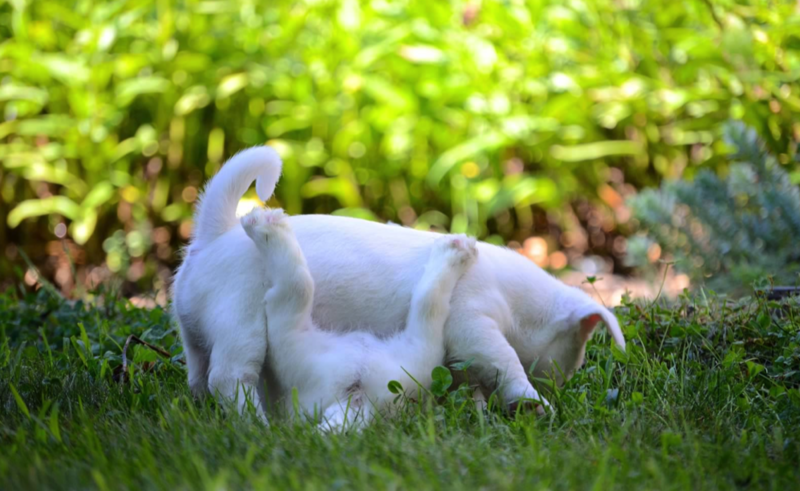 Because the puppies are conditioned from an early age, they often develop more confidence and lower noise sensitivity. So, although they will hear an unexpected sound, they may ignore it and continue on un-phased. "Research has shown that animals raised in an enriched environment are more inquisitive, more adept at performing difficult tasks, and are more intelligent because they have experienced a great deal when young." Habituation to Novel, Environmental and Passive Stimuli - Habituation is a form of learning in which an animal becomes acclimated to environmental stimuli through exposure and stops responding, ultimately ignoring stimuli. We use day-to-day stimuli in their environment such as vacuum cleaners, wind chimes, moving objects, etc. When puppies eyes/ears open, we use smaller scale stimuli - like toys with sound in their whelping box. This continues in the puppy playpen, and later in the puppy play yard. Passive training, i.e. having the litter in high-traffic areas most of the time so that ordinary sights and sounds are present makes sure no stimuli slips through the cracks. We work to develop conditioned emotional responses to key stimuli like veterinary exam tables, stethoscopes, bathtubs and grooming tools with a focus on feet and nails, because foot sensitivities are epidemic. Vet visit / Outings - We expose our puppies to new stimuli without creating a stressful experience, so they are slowly and methodically introduced to new situations and environments. ie; vehicles, walks in the woods, trip to vet, etc. We are careful that they have positive interactions, thus reducing future issues in unfamiliar situations. Mental & Physical Challenges - We provide tiered mind challenging problems that will exercise the brain and enhance puppies development. This stimulation helps puppies develop problem solving abilities, mental coordination, confidence, and resiliency. Puppies raised in lacking environments are more likely to become fearful adults. We challenge the puppies physically in an effort to improve muscle coordination, balance, motor skills, confidence, agile movement, body self awareness, and development. We provide a “playground” of challenges which helps to develop strength, agility and coordination skills in a fun environment. We begin in the whelping box, and continue in our puppy play yard which is filled with equipment including ramps, tunnels, wobble boards, various obstacles, high reaching toys, shallow body of water and other items that help build confidence. Grooming Conditioning/Desensitization - We begin handling all parts of the puppy's anatomy from the time they're born in an effort to desensitize to touch. By the time our puppies leave at 8 weeks, they are comfortable with bathing, brushing, ear cleaning, nail clipping, body checks wearing a collar, and more. Again, we spend extra time and attention to foot handling. Separation Conditioning/Home Alone Training - Because separation anxiety can be a problem later in life, we begin separation conditioning to gradually acclimate puppy to short periods of being alone so they can form positive associations with "home alone time". Crate Training - We acclimate puppies to crate training beginning in week six because it's a great help in house training. Crates are indispensable for house-training and home alone training. It also gives the puppy a safe place of its own accustoms (conditions) him to being confined for short periods of time and associates it with positive events. When the puppies go to their new homes at eight weeks of age, they have little difficulty adjusting to their new home/environment. The feedback we receive on how well the puppy does his first night is overwhelmingly positive. In our experience crates are an absolute must! House Training - We begin passive house training our puppies at approximately four weeks of age when they develop the instinctual desire to eliminate outside their nest. We graduate them to pee-pads by six weeks of age. This helps lay foundation for easy house training later. Core Behaviors / Manners Training - By the time puppies leave us at twelve weeks, they have been exposed to situations and training, all geared towards avoiding some problems people have with young puppies. While these behaviors may be seines problems in the human world, they are very normal puppy behaviors. Things like biting, jumping on people, distress vocalization when left alone or placed in the crate (even for a second), struggling on a leash, eliminating whenever the urge arises (in the house), and car sickness. We will work on these behaviors so the puppy has a foundation for the training their new owner will need to do. Good manners and habituation, make it much easier for the transition to their new environment and follow-up training. We include men, women and children in training so puppies are used to learning from a variety of individuals. Puppy Assessment & Evaluation - We begin making assessments of a puppy’s temperament from the first week. We pay close attention to each puppy which can provide clues to subsequent development. During this time we’re looking at sociability, emotionality, problem solving ability, group dynamics, motor abilities and more. Since the puppies live with us from the moment they’re born, we typically have a good idea of their individual temperaments, and which show natural inclinations toward certain traits. By week seven, the amount of observation time and interaction with pups gives us a picture of personality that would trump a formal temperament test result - such as Volhard. The goal is to try to predict how puppy will be in the real world. Puppy Placement - Actual puppy scoring will be done on individual traits. Scores are indicative not predictive of adult behavior patterns. Puppies are then matched with waiting families. Follow-Up and Support - We provide follow up and support to those who receive our puppies to ensure what we started is built upon. Behavior never remains the same – it’s always changing. So, we will be there to help when you need assistance. Understand that you must have a healthy, sound Jack Russell to start with. Genetics dictate a dogs base temperament. With a well bred pup, additional socialization will help your pup reach his/her full potential. We can't stress this enough. In addition to genetic pre-disposition in regard to temperament - environmental and social experiences also make lasting impressions on a developing puppy. Important stages in a puppies development begins at birth and peaks at eight weeks. From eight to sixteen weeks of age, this window slowly begins to close. By sixteen weeks of age, the experiences, or lack of experiences during this time will shape your Jack Russell Terrier pup for the rest of its life. 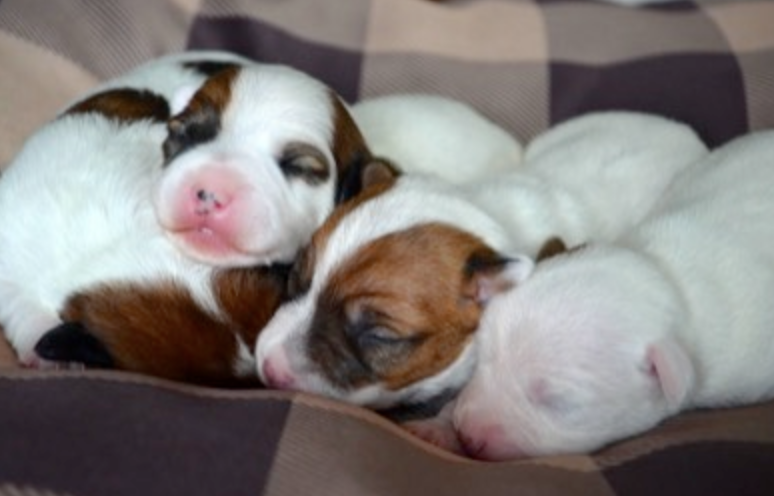 This sweet jack russell litter is one of "Bellas" in Stephanie living room in New Gloucester, Maine. These are two puppies from one of our first generation heritage jack russell litters. This is in Sheilas backyard in Raymond, Maine. Hudson with a first generation jack russell heritage puppy during a little photo session in Raymond, Maine. Dear prospective CJRT owner, Buckley is almost 6 - a rough coated neutered male who is our constant companion. We do our best to bring him with us whenever possible. I researched JRT websites, was impressed with Sheila and her Connemara Terriers, and arranged to meet. Sheila is passionate about her terriers, and was able to suggest a breeding pair that would give me the kind of pup I had described - a happy, well-adjusted, relaxed dog who would be an active part of our lives. There are some things I can suggest to you that might be helpful: Know the type of personality you are looking for in a dog, and what works best with your lifestyle. Sheila is excellent at helping you pick the perfect dog for you. Though fairly low-key for a Jack Russell...Buckley is still a Jack! He needs a good hard run several times a week and daily exercise. His play drive is very strong, and since I have no other dogs for him to play with, I make sure I get him together with his doggie friends. He goes to a good doggie daycare several times a week and loves it. If he doesn't get this playtime, he gets "noodgy" and starts barking at the furniture and trying to get me to play with him. He does better with the mental stimulation of activities, dogs, people. As long as he gets that, he is relaxed, quiet, well-behaved and delightful. Jacks are long-bodied dogs, and although they love to jump, I recommend that you monitor this. The more you can use ramps and stairs, the better. CJRTs are dogs and want to act like dogs, but jumping off high beds or out of the car, etc, is not a good idea. Buckley was born in February, and I brought him home in April - a perfect time in NE to bring a little puppy home. That first year I made a point of socializing him well and exposing him to all kinds of situations. When we travel, he is completely unfazed by loud busses, trucks, etc. Buckley did not meet up with little children, however, until he was about 3. Being a "soft" dog, he was worried around a small and unpredictable child. I made sure that my grandchildren and Buckley were in the same room, but never closer than about 4 feet, until I knew that the children would not startle Buckley, and Buckley lost his fear of them. Now, although he still doesn't want the grandchildren all over him, Buckley is very comfortable with them and loves to be around when they come over. Every now and then I have a medical or training question. Sheila is easy to get in touch with , and happy to help. She is extremely knowledgeable, practical and kind.....altogether wonderful!